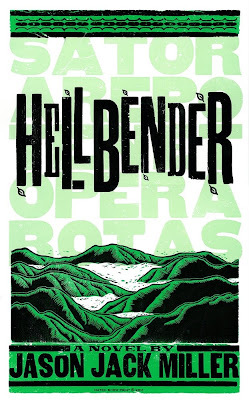 JASON JACK MILLER: HELLBENDER is here! I've also made Hellbender part of a bundle with The Devil and Preston Black for a special price on Amazon and Smashwords. Congratulations! That cover looks awesome. Thank you! I'm extremely happy with it. But when does Hatch Show Print do anything short of amazing? Is or will there be a hard copy of Hellbender available at some point? I like it! This could either be the start of something great, like powered flight. Or something less great, like cheeseburger-flavored Doritos. More Wild and Wonderful West Virginia! My Wild and Wonderful West Virginia!